CANARD’s solution for ILS measurements supports the commissioning, maintenance and calibration activities of localizer and glideslope facilities. By taking over part of the measurements and procedures, the time and cost of the ILS maintenance activities is reduced. We pair this hardware solution with our software tools for mission planning, data processing and asset management. CANARD provides a reliable and economical tool for reducing the time and cost of regular ILS maintenance and commissioning activities. 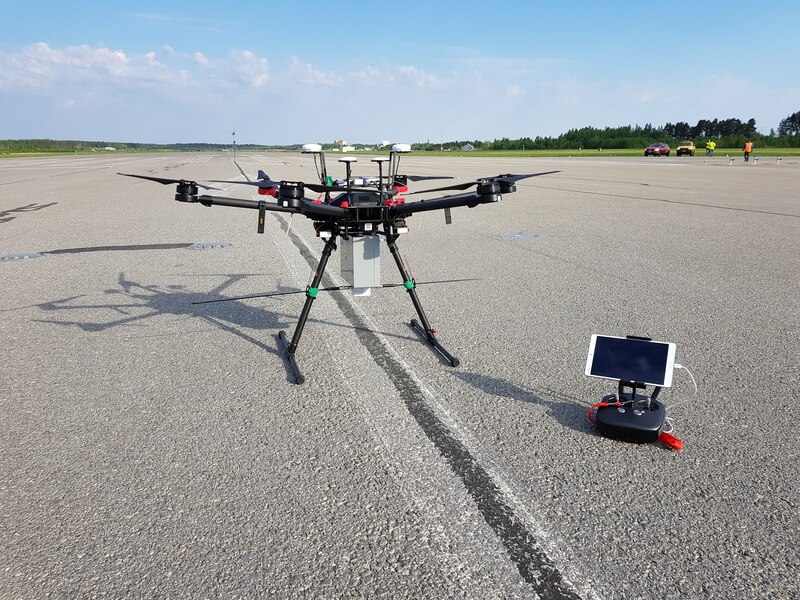 The drone can reach areas where other methods such as portable and vehicle mounted masts, providing more flexibility and and additional information for the maintenance technicians. Even the duration of conventional ILS flight inspections can be improved by increasing the automation and intelligence in the maintenance of airport NAVAID systems. This is achieved by taking over part of the procedures that the airplane carries out. Our RPAs operate both day and night, and align with the airports’ specific maintenance requirements. Our solution and operational procedures are developed in accordance with to ICAO regulations and in conversations with major airport operators and civil aviation authorities.